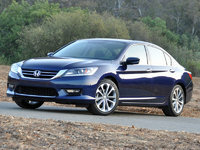 CarGurus has 1,323 nationwide Cadenza listings starting at $6,995. 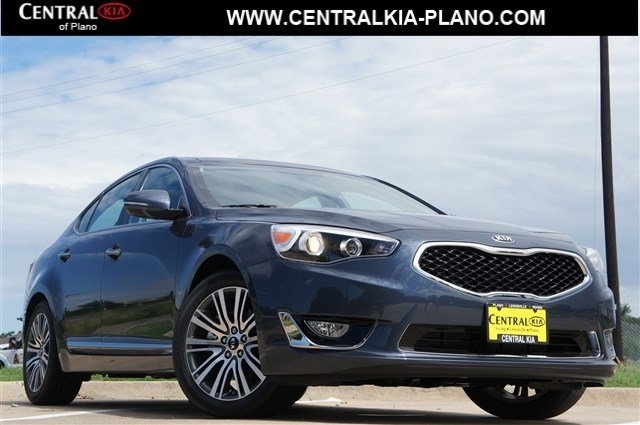 Unabashedly aiming for the high-end market, Kia offers its 2015 Cadenza full-size premium sedan to those who want an admirably luxurious family sedan with a sporty look and a livable MSRP. This handsome 5-passenger Kia 4-door offers an athletic profile, sophisticated ride and handling characteristics, and a peppy V6 powerplant the Korean automaker hopes will work a little better than did its predecessor, the Amanti. After a fairly successful debut for the 2014 model year, the latest Cadenza sees no significant changes. A pair of trims—the well-endowed Premium and the top-shelf Limited—again constitute the lineup, with both offering only front-wheel drive (FWD), as well as a hefty 15.9 cubic feet of trunk space. Also returning for the 2015 model year is the standard 3.3-liter V6 engine that throws out 293 hp and 255 lb-ft of torque under the management of an also-standard 6-speed shiftable automatic transmission. The Cadenza's 0-60 time is a rather ho-hum 6.7 seconds, but the EPA estimates an upbeat 19 mpg city/28 highway. Where this Euro-styled 4-door truly shines is in its wealth of appearance features and creature comforts. The 2015 Cadenza Premium includes 18-inch alloy wheels, leather upholstery, heated power-adjustable front seats, full power accessories, cruise control and telescoping tilt-wheel steering. Further standard amenities include steering-wheel-mounted paddle shifters, a rear-view camera, rear parking sensors, a remote garage-door opener, an auto-dimming rear-view mirror and a hefty dollop of classy cabin accent materials. Techno-goodies, meantime, include Bluetooth hands-free calling and a hard-drive-based navigation system, each under the auspices of Kia’s touted UVO infotainment display with its 8-inch screen. Audio entertainment in both trims remains available via a 550-watt premium Infinity system packing a single-CD player, 12 Surround Sound speakers, satellite radio and a memory-card slot. Optional in the Premium trim is the Luxury Package, boasting upgraded leather upholstery, a heated power-adjustable steering wheel, heated rear seats, memory for driver's settings, a power driver’s seat cushion extender and power rear-window sunshades. The Limited, meanwhile, adds the Luxury Package on as standard equipment while also sporting standard 19-inch alloy wheels, a 7-inch trip computer display, adaptive cruise control, a power-opening panoramic sunroof and an electronic parking brake. In keeping with modern safety expectations, both 2015 Cadenza iterations carry standard 4-wheel antilock brakes (ABS), front and rear side-mounted airbags, front and rear head airbags, daytime running lights and front fog/driving lights. Further standard safety equipment aboard both trims includes turn-signal-integrated mirrors, self-leveling high-intensity-discharge (HID) headlights and a remote antitheft alarm. The Limited, furthermore, adds standard blind-spot warnings and lane-keeping assistance. 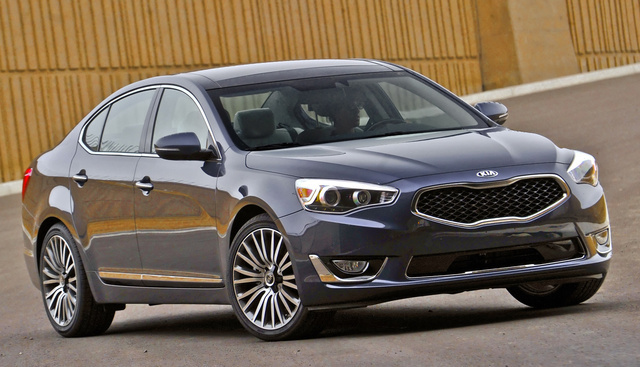 What's your take on the 2015 Kia Cadenza? Guru9YJZ2 I really enjoy my 2015 Cadenza. Sporty, Luxury and nice power. Have you driven a 2015 Kia Cadenza?